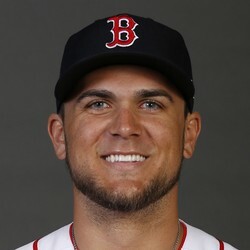 Michael Chavis will be getting the start at third base on Monday as Rafael Devers gets a rest according to Jason Mastrodonato of the Boston Herald. Chavis got his first career start on Sunday at second base and will now get a chance to play third on Monday. Chavis might be a good cheap play in DFS tonight but is probably not going to see enough playing time to be worth grabbing in fantasy.